A lot has been written on the efforts and the respective necessary amounts of it to be applied, and I wanted to contribute with my own thoughts. Mostly because I keep on passing the tipping point of what is reasonable and trying to help myself to be a healthy society contributor. Regulating the amount of the applied effort is something that everyone will be struggling through their whole life, because as humans and not as the machines we are not constant in our contributions, defining and adjusting the limits (or as in angle) will be a constant “task in progress” if not for everyone, then at least for a lot of us. Why is this topic is a challenge at all ? Why can’t we simply regulate our effort or keep it constant. Because as we say in Portugal we do either 8 or 80 with almost nothing in between. But what about the effort or about the perfect effort, should I say ? Consider the following analogy: throwing a ball. Bearing in mind that we are all earth-bound, there is one strange thing that is called earth gravity. Throwing any object will be affected by the gravity, making it meeting the Earth pretty soon. If we are trying to throw the ball as far as we wish, we would try to throw it not to high but at the same time not to low – the very same thing that Dedalus told to Icarus when escaping the island of Crete. The thing is, in the theory, there is a perfect angle to throw an object and it is 45º. I am noticing that a lot of things are funcitoning on this basis and this applies to the business as well as to the professional life. The lack of the effort (as in the angle around 0º) will not take you anywhere, but a gigantic effort of 90º will not take you anywhere else as well. You will have to choose the right angle. And surprisingly, choosing a less effort is a lot of times . But failing will be extremely important of the learning. 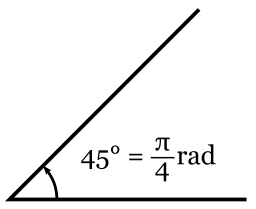 There is one more thing worth noticing: the 45º is a perfect number, but in life, as always – there are no perfect things. There will be a number of factors that you will take into considerations before choosing the right angle – maybe the wind is so favorable that throwing the ball higher (then 45º) will give you a better result, or maybe you should wait at all, because no matter how hard you will try at the moment – the wind is against you and your ball will fly only in the opposite direction. Way too often the time dimension and the place dimension define the outcome much more than the effort itself. Another interesting angle :) is about human body temperature in Celsius – while a regular temperature is around 36ºC-37ºC, the death is almost certain when going over 45ºC, so let me throw you an idea/comparison – maybe 36º-37º is a point where it is simply enough, and enough is enough. I am not going to look for the 45º anymore, I am definitely pretending to keep it cool around 36º and this is something that I can truly recommend.